﻿﻿﻿﻿A Personal Creations Exclusive! Dress up a bottle of wine for the newlyweds to share on their wedding night or honeymoon. 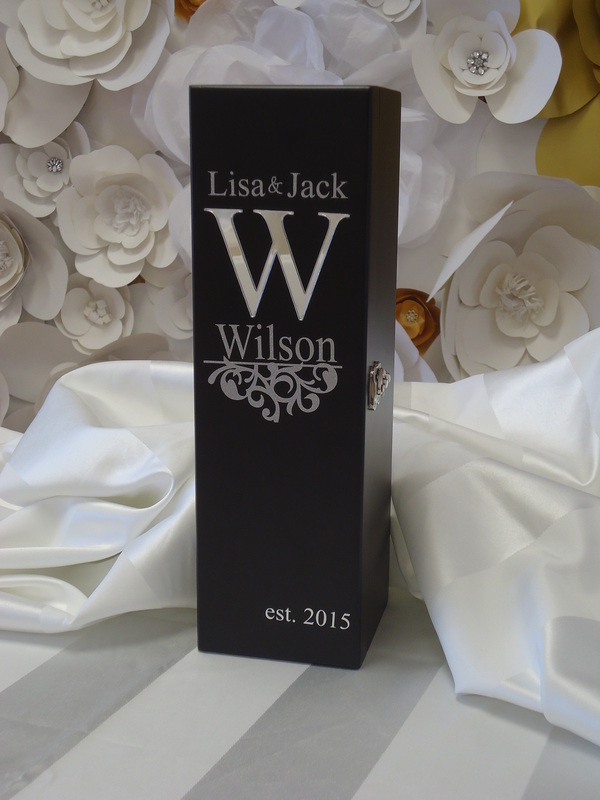 Our exquisite monogram wine box is beautifully crafted of solid wood with a black finish and has a open top lid. We personalize it with any 1 line 2 names, up to 21 characters and , any single initial, any last name, up to 12 characters, and any date established. You can chose one of our 3 layouts as shown above. Each box comes with a 2D Monogram Letter. The font for the names are Time. Your chose of Sliver Mirror (Shown) or Gold Mirror. • Size: 14 1/4" x 4 1/4" x 4 5/8"
Our "Wine Time" Single bottle slide top wine box. Would be a great gift for that person that love's wine. 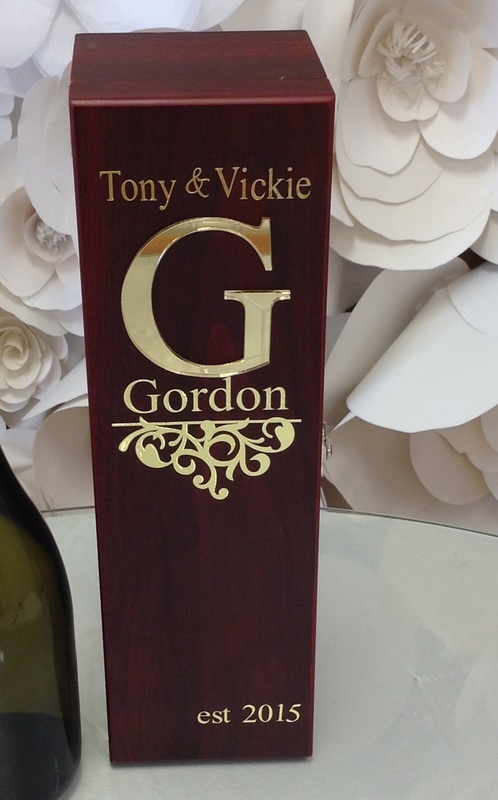 We can personalize this wine box using our own graphic, no additional cost. This is an all light wood (Rosewood Finish) wine box with a clear acrylic slide top for easy opening. Your chose of Sliver Mirror (Shown) or Gold Mirror. • Size: 14 1/4" x 4 1/4" x 3 5/8"